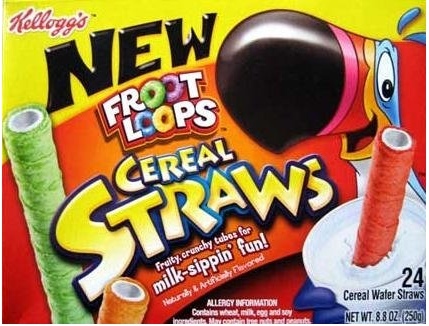 Kellogg’s Cereal Straws are straws lined with powdered sugar-cereal dust that kids can drink milk through. It makes the milk taste like the sludge left at the bottom of a ce real bowl. We feed kids gross things, but this reaches new levels of grosstitude. Next Post What happened on Webkinz yesterday?